When I finally admitted that my Android phone — a Motorola Droid Razr that I’d gotten for a penny as part of a Verizon upgrade — needed to retire, I decided to switch to the iPhone 6 Plus. 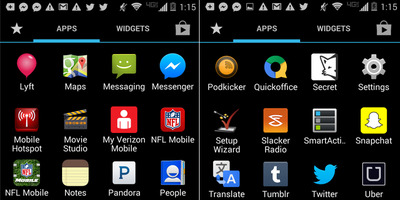 I’ve been back-and-forth between Android and iOS, but have been solidly Google-ified for the last year and a half. I’ve loved my new phone in the two weeks since I’ve had it (especially the crazy camera upgrade), but there are a few little things that I really, really miss about my old Android phone. 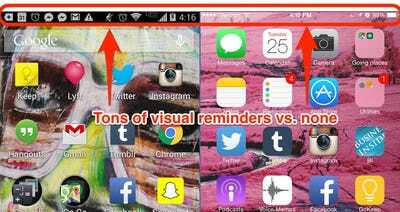 There are a lot of “big-picture” benefits to having an Android phone versus an iPhone, but these are mostly the smaller details that have been bothering me. 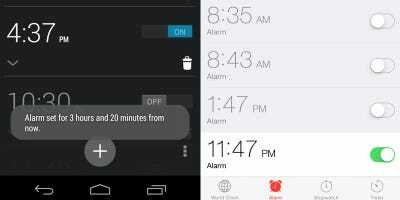 This one might sound trivial, but I really, really miss how the baked-in alarm clock in my old phone would tell me how many hours I'd have of sweet slumber. Now, I have to do the mental maths myself. 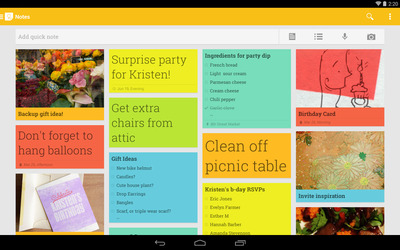 I love Gmail and its app is just so much better on Android than iPhone (duh). 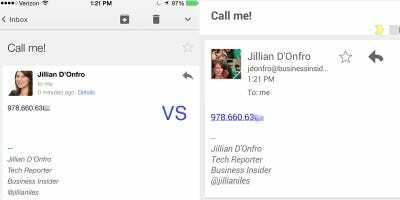 One particularly annoying thing though is how phone numbers aren't directly dial-able from Gmail on my iPhone. I hate how every iOS app I download has to be on one of my homescreens. 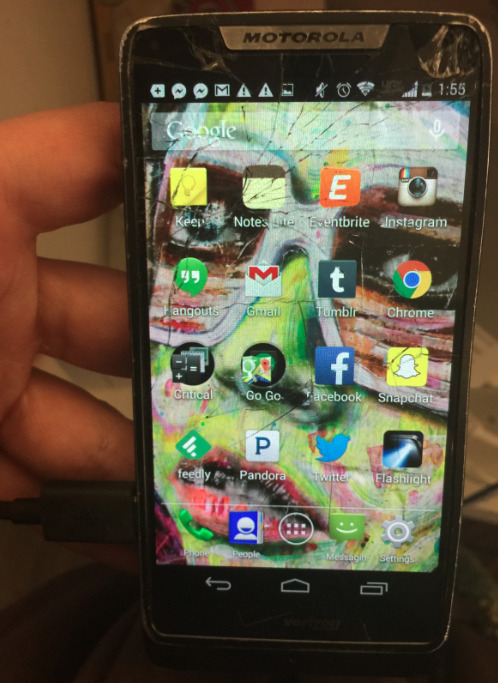 My Android phone let me keep some out of sight, unless I decided to drag them onto one of the main screens. Now I've got folders crammed with apps I only use once-in-a-blue-moon. This one is a little controversial because I've already had a bunch of people disagree with me, but I honestly think that Android emoji are *much* cuter than iPhone emoji. 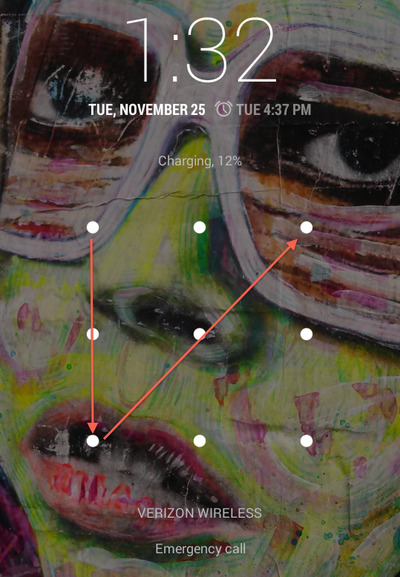 I miss getting to do a fun swipe-pattern to unlock my phone. OK, sure, the iPhone's fingerprint scanner is pretty cool, but I really liked how my Android phone offered several different unlocking options, including the pattern drawing one. 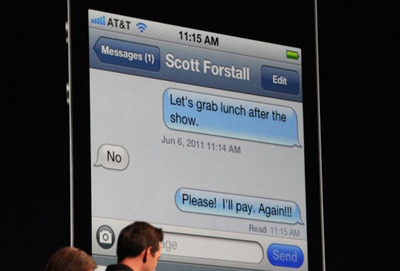 Read receipts are terrible. Some of my iPhone friends have them turned on. Never had that problem with my Android. I miss how my Android would file screenshots, downloaded pics, and pictures I saved from messages into their own separate folders. 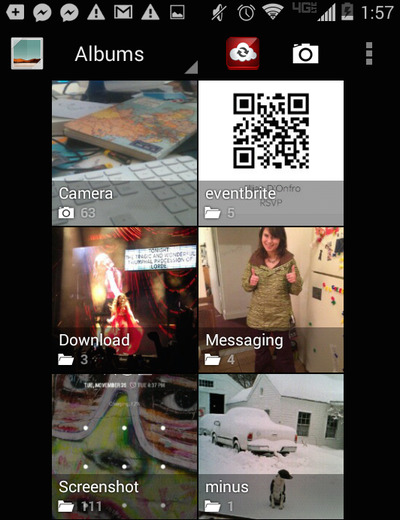 Generally, Android's visible file system is amazing. When you plug your Android phone into your computer, you can see a file system just like the one you'd work with if you were searching for something on your computer. It's as easy as drag-and-drop. Apple doesn't give you that kind of access to all your files. I liked how my notifications were always shown at the top of my screen. It made it easier to remember what I needed to check and respond to. Now, a different look at Google..